There’s a saying that you can tell much about a woman based on the content of her handbag. I hope that’s not true, cause mine – next to oversized – is one big chaos. I am used to never finding my keys in front of the door, or getting the occasional panic attack cause I think I lost my phone – while it was just hiding out on the bottom of my tote. It wasn’t until I met the handbags of Minore that I realized it was time for a change. Read on, especially if you recognize yourself in the description above! 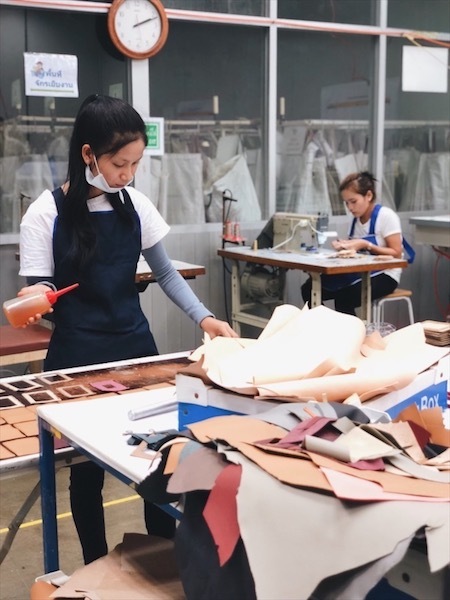 Minore comes from the hand of a young Thai man called Jeep. 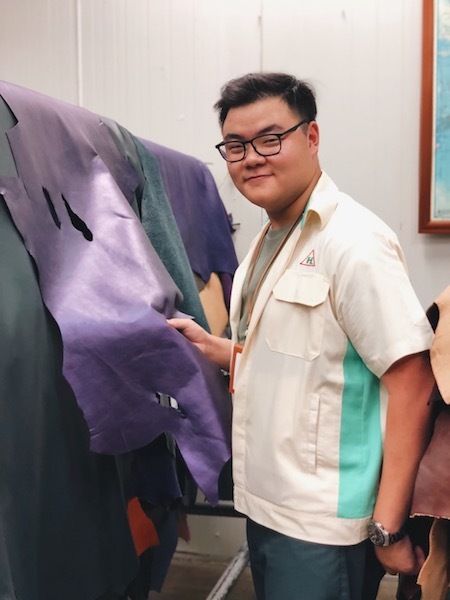 He grew up surrounded by leather, as his family owns one of the biggest leather companies in Thailand. He has developed a deep love for the craft and is passionate about continuing his family’s legacy. At the same time he felt like innovating and creating something of himself – so he started a small brand on the side that he named Minore. I can honestly say that my Minore bag is the most practical one I’ve ever had (and as for shoes, that counts for many pieces!). It has several subdivisions inside that help me to create the structure I never had, and different pockets on the outside for easy access to things like your phone or keys. 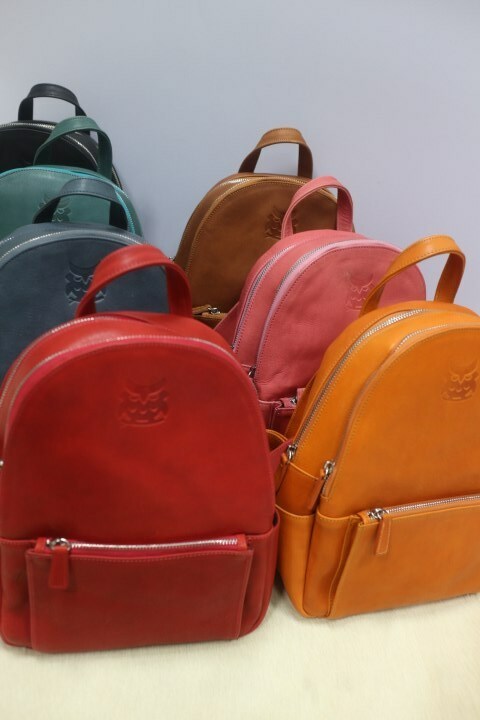 So how come a young man got interested in producing handbags, and moreover has such a clear picture of what women like and need? Well, Jeep nailed it pretty well! My days of frustrated digging are finally over. 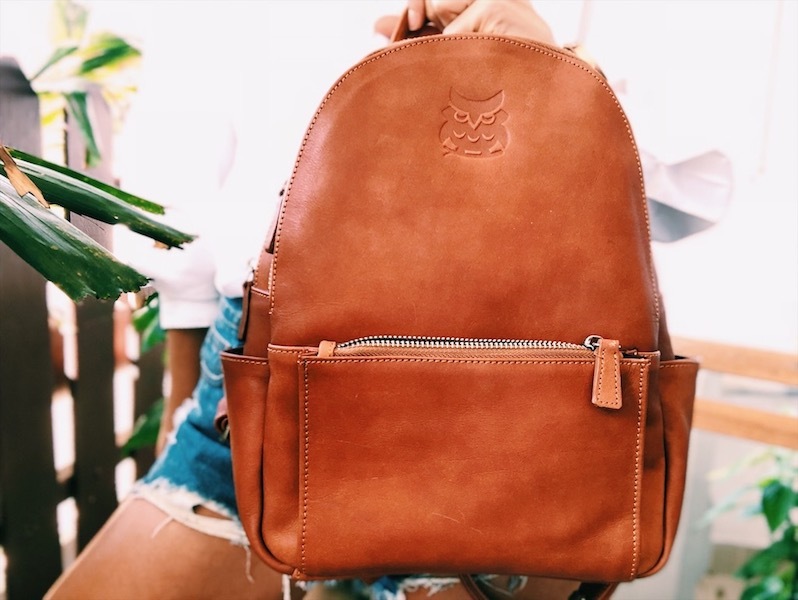 I also love the minimalist style of the bags, with only the logo of an owl as frivolous touch. Why an owl? 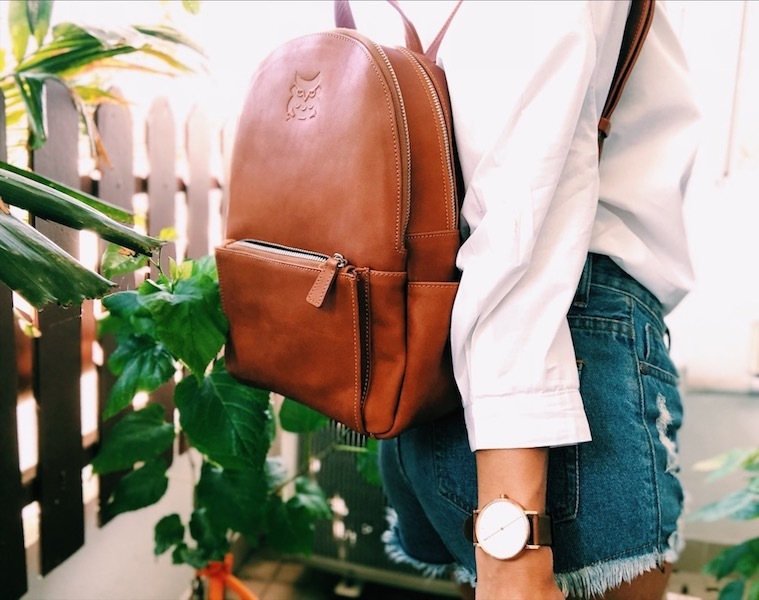 To sum up: if you’re looking for a bag that’s pretty ànd practical, coming from the hand of an artisan with years of love and experience in leather-craft, Minore is your go-to brand! You can check out the full collection on Facebook (Minoreofficial) or Instagram (@Minore.official) and order through these channels. If you live abroad, drop me a message through the contact page or send a mail to contact@treasurista.com.